Thank you to our members and the citizens of Portland for the overwhelming support and encouragement this past week as we voiced grave concerns about the policies surrounding livability in our city. We received thousands of positive comments, phone calls, emails, letters, and text messages thanking the PPA for shining a bold light on these issues. 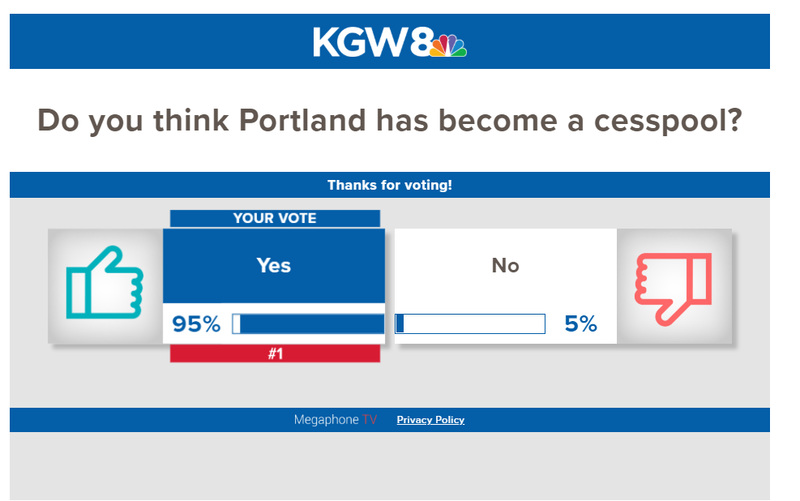 Your concerns and frustrations are palpable and according to a KGW poll, 95% agree that our city has gone downhill. No one sees the burden of livability issues more clearly than the rank and file officers who are out on the streets every day answering the calls for service. So, let’s talk solutions which should include access to housing, especially for displaced families (transitional to permanent); enforcing current laws; and building a strong and sustainable network of addiction treatment services, mental health services, and job placement opportunities. We believe that the sale of Wapato was a missed opportunity. The 525-bed facility holds the potential to accommodate a Social Service Hub providing wrap-around services, tailored to fit Portland with transitional housing, life-essential services (food, sleep areas, restrooms, medical care, showers), peer interaction and socialization, personal storage, connection to medical and mental health services, addiction counseling, and integrated social services. In giving people a physical address and hope, we can empower rather than enable. Unfortunately, the citizens who agreed to pay for the original Wapato facility by vote were not afforded the opportunity to vote on its sale at a 90% loss. But, there is still a chance for our elected city and county officials to turn this around by partnering with the private investors who purchased Wapato. Many people have asked what they can do to help. And, we want to hear from you, the hard-working individuals who roll up their sleeves and go to work every day to build for their future. What do you think of the Social Service Hub model? How can we best serve the truly vulnerable in our communities? What role does law enforcement have in the equation? Contact your elected City and County Officials. Reach out to your Neighborhood Associations and Business Associations. Share your ideas with us at the PPA Facebook Page. We love our city, and, from your feedback, we know that you love Portland, too. Let’s keep up the momentum and work together, sharing ideas to build a better future and bring hope and vision.